this past weekend, i visited my parents in northern wisconsin. my cousin recently moved, and apparently she has the hoarding gene that the rest of us in the family have – she thinned out her craft stash and gave me mom FIVE TUBS of yarn, crochet and knitting books, macrame stuff, etc. so i got to go through it all and pick out what i wanted! i managed to hold myself back and bring back only one tub of goodies, mostly yarn. i only brought back three books, because at this point i already have like 500 patterns bookmarked that i want to make. 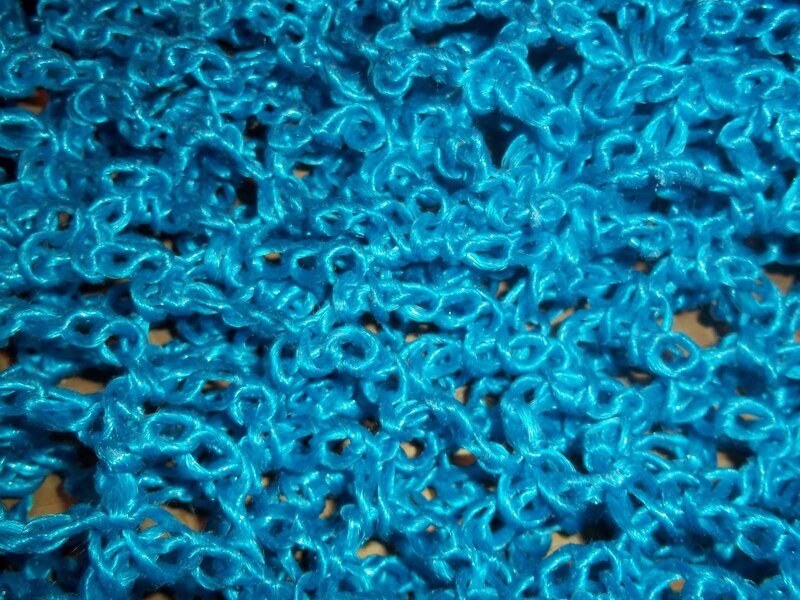 one of them, “simple crochet” by erika knight, is AWESOME. it has really neat, modern patterns and they talk about using a variety of fibers instead of just using yarn all the time. they use leather cord, string, twine, raffia, fabric strips, etc. in the tubs of stuff i got from my mom, there was some turquoise string so it was the perfect opportunity to try one of the patterns, a string produce/grocery bag. i love it! the farmer’s market a few blocks from my house just opened for the season today, so this is just in time! 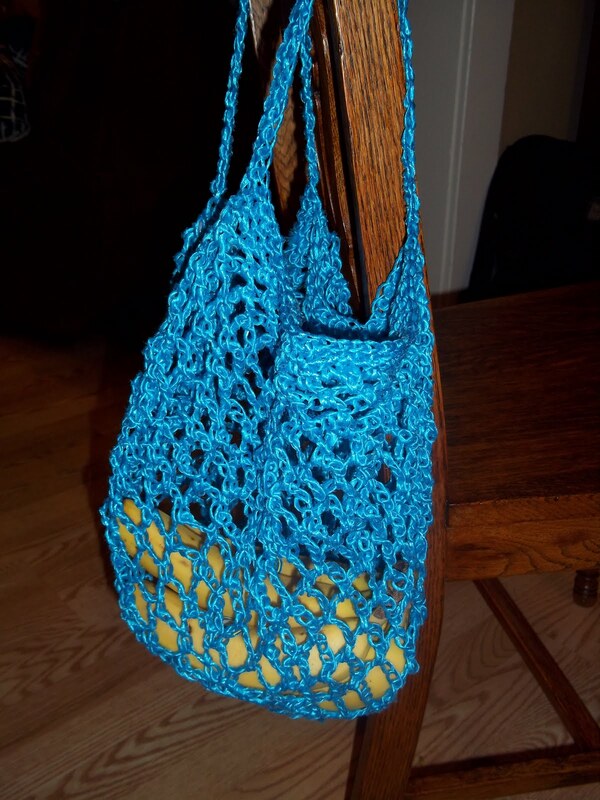 This entry was posted in Crochet and tagged bag, crochet, grocery bag, mesh. Bookmark the permalink.